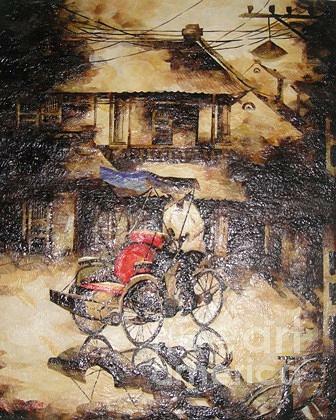 A Traditonal Conner Of Ha Noi is a painting by Le Dac Trung which was uploaded on January 14th, 2010. 100.000 x 120.000 x 3.000 cm. It took 2 months to finished. A traditional conner of Ha Noi leaf painting show an old viewing of Ha Noi city with traditional houses and Xich Lo - one of traditional transport. There are no comments for A Traditonal Conner Of Ha Noi. Click here to post the first comment.